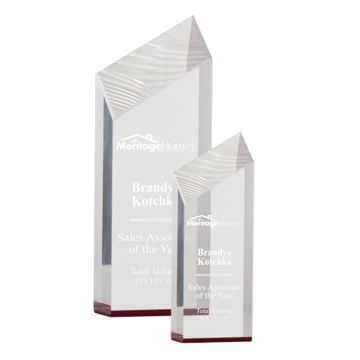 Known for our extensive selection of Acrylic Awards and outstanding customer service, Newline Trophy knows acrylics. 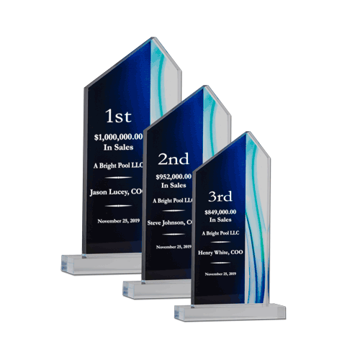 We carry the finest selection of acrylic awards comprised of acrylic trophies, acrylic plaques and acrylic paperweights – all available in multiple colors and artistic mediums. 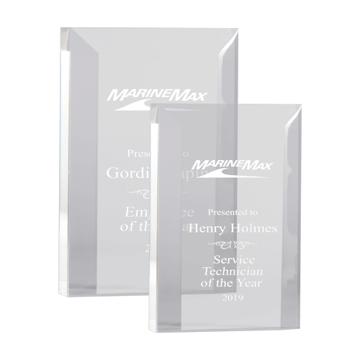 Whether you’re looking for a stand-up acrylic trophy or wish to go for custom acrylic, you won’t find a larger selection of high-quality engraved acrylic anywhere on the web. . . 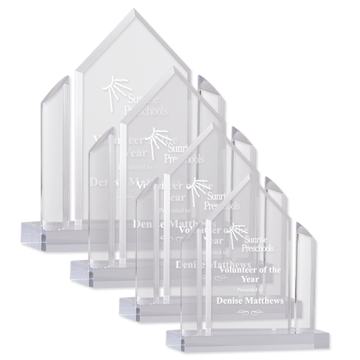 Learn more about the manufacturing processes we use in our Acrylic Awards below. 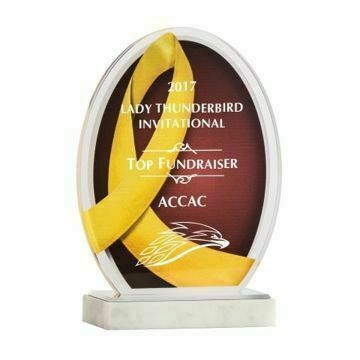 Here you will learn about materials, polishing techniques, engraving on Acrylic and Lucite Awards plus many more ideas to help you make a wise purchasing decision. 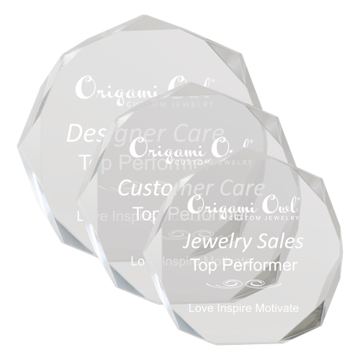 Acrylic is a crystal-clear thermoplastic! A polycarbonate derived from natural-gas by combining Methyl Methacrylate (MMA) and Poly Methyl Methacrylate (PMMA) resins. 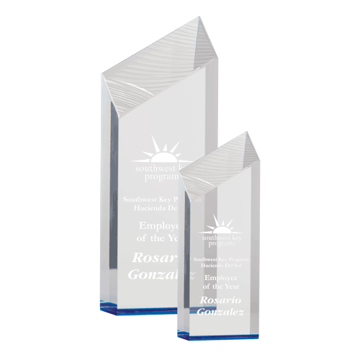 Petroleum based, and the perfect substrate to make some of the most unique Custom Acrylic Awards. 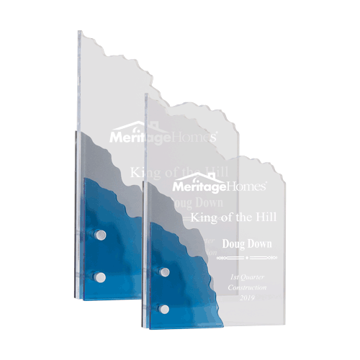 Often tinted to highlight the beauty of the Acrylic; in addition to clear acrylic awards, you will find blue acrylics, golden acrylics, red acrylics, jade acrylics and combinations of metal and wood to create some of the most unique Custom Acrylics around. What properties make Acrylic unique? 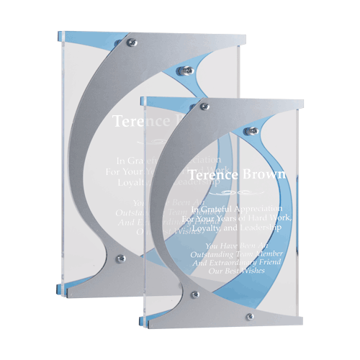 Acrylic often referred to as Plexiglass, Lucite, R-Cast, Acrylex, Acrylite, Acryliplast, Polycast, Optix and a number of other marketed trade names, is unique because of its crystal-clear appearance and ability to fabricate into beautiful awards. 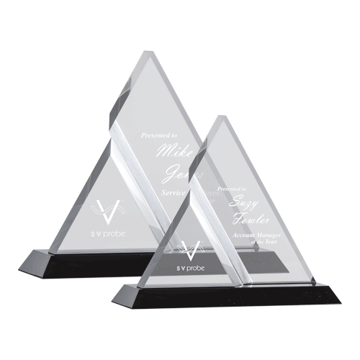 What is the difference between acrylic and Lexan? 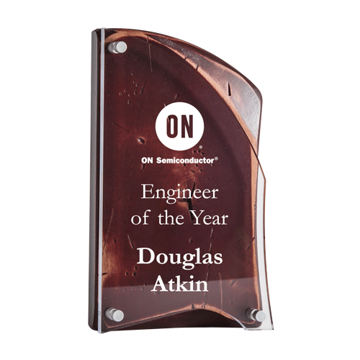 Lexan, another form of polycarbonate; happens to be more shatter resistant, but yellows with exposure to sunlight, scratches easily and is difficult to fabricate – thereby making Acrylic the most functional of the polycarbonates for fabrication. What fabrication techniques are used? 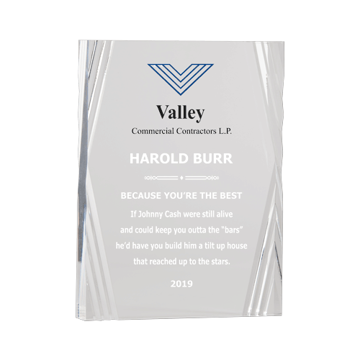 Acrylics can be fabricated into awards in many ways; often large sheets are cut down into manageable sizes using a standard table saw, Laser Cut to shape, diamond honed and polished to a smooth mirrored finish that accentuates the hand carved facets. 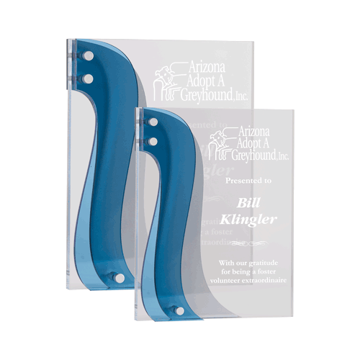 Sounds simple, but the custom design procedures involved in selecting the correct thickness of Acrylic to even get to the saw can be a lot of work. 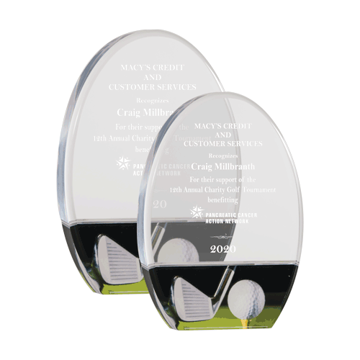 And that is what makes Newline Trophy special – our ability to custom design Acrylic Awards is second to none. From rough concept to creating virtual designs for customer approval, your experience with Newline will be second to none. 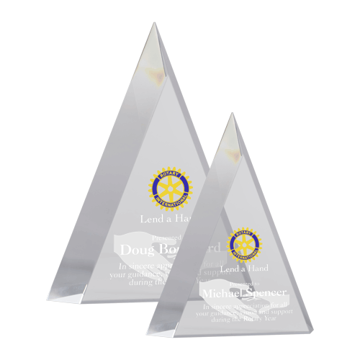 Newline Trophy uses high speed CO2lasers to permanently deep engrave the surface of our Acrylic Awards with a sand carved frosted look. 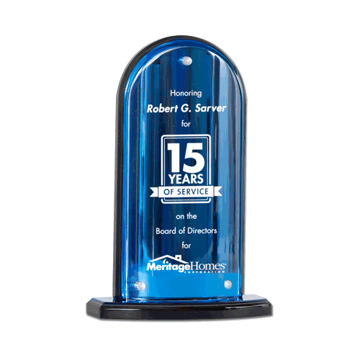 Often times we choose to engrave the back of acrylics in order to highlight the text and logo giving the appearance of 3-dimensional engraving. 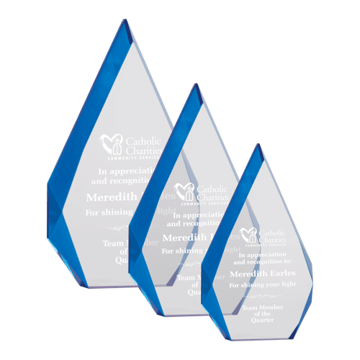 How do I get a colored logo on my acrylic awards? 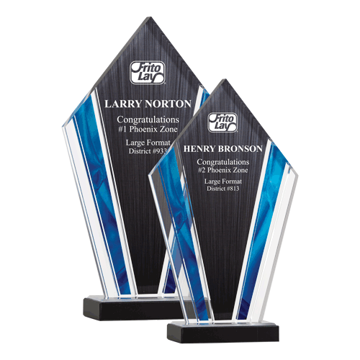 The newest technology in marking acrylics is direct ultra violet printing and Newline has the most advanced equipment to print beautiful full color logos on your acrylic trophies. All we need is your color logo in a vectored .eps version to make it happen. 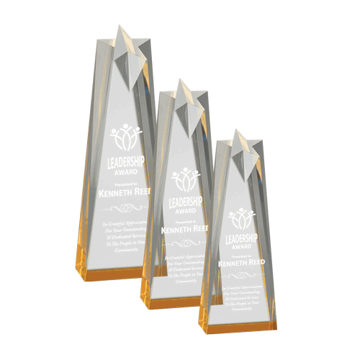 How do I care for my Acrylic Awards? Because acrylics are so versatile, they rarely need more than normal wipe down with a soft cloth. 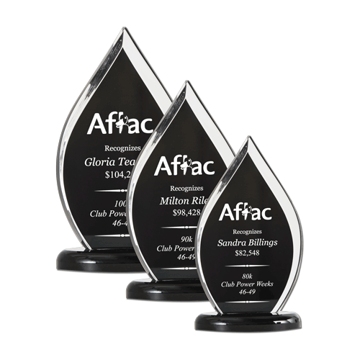 Note that since Acrylic Awards are petroleum based, you should never use any chemical cleaners as they may damage the surface. Scratches can be removed using an acrylic polish often found in motorcycle shops to polish windshields called Novus #2 or Novus #3. What kind of shapes can acrylics be made into? 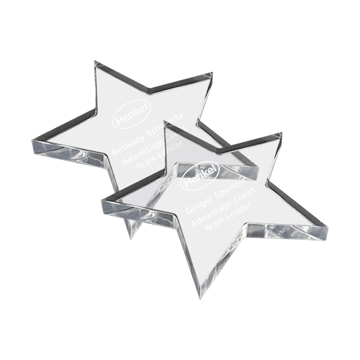 Many of our stock Acrylic Award shapes include Stars, Teardrops, States, Octagons, Tombstones, Pinnacles, Icebergs, Diamonds and Triangles to name a few. 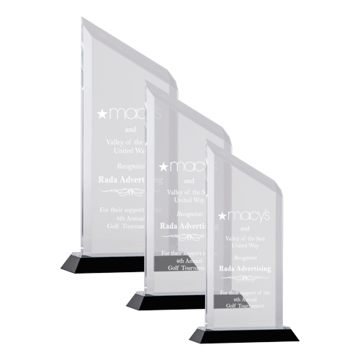 How have Acrylic Awards been used by other customers? 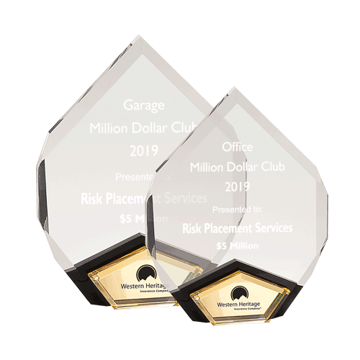 Acrylics, along with Crystal, Glass and Plaque Awards have been used for general Recognition, Corporate Recognition, Leadership, recognizing Quality Work, Safety, Sales, Service and Teamwork for decades by our customers. 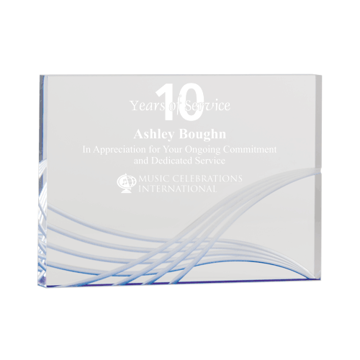 The beauty of acrylic is – we can laser engrave anything on it from logos to text, making custom one of a kind awards for your presentations! 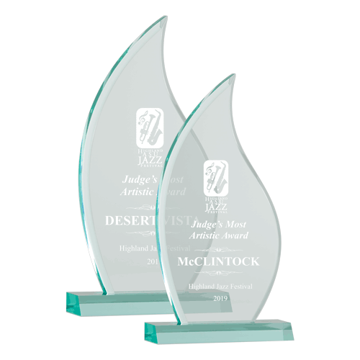 We hope this answered some of your questions regarding Acrylic Awards. As always, we are available by phone at 866-201-7236 if you have further questions.